The first previously unreleased recordings by Shirley Horn in nearly a decade! Los Angeles, August 23, 2016 – Resonance Records is pleased to announce the release of SHIRLEY HORN – LIVE AT THE 4 QUEENS, a previously unissued live recording by legendary singer/pianist Shirley Horn accompanied by her rhythm section of over 20 years, the late bassist Charles Ables and drummer Steve Williams, recorded by Las Vegas NPR affiliate KNPR on May 2, 1988 at what noted author James Gavin describes as “Las Vegas’s hip little oasis for jazz lovers, the jazz club inside the 4 Queens Hotel.” Resonance will release this album in a deluxe CD package and a digital edition on Friday, September 16, 2016. Live At The 4 Queens was recorded only one year after her 1987 “comeback album” on Verve Records, I Thought About You, which reignited her international touring career after a nearly 20-year hiatus during which she had restricted her musical activities to her home town of Washington, D.C. so she could devote herself to raising her daughter. 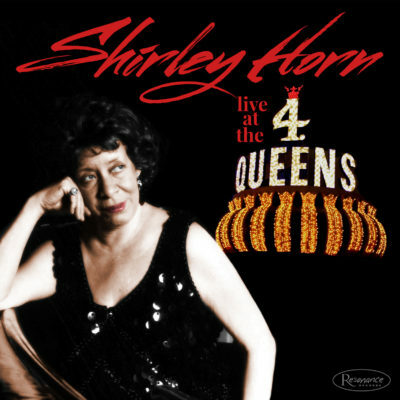 The album includes a comprehensive 56-page book dedicated to documenting the life and career of Shirley Horn featuring essays and interviews with Resonance Records producer Zev Feldman, journalist and author James Gavin, jazz record veterans and Shirley Horn producers Jean-Philippe Allard and Richard Seidel, long-time Shirley Horn drummer Steve Williams (in conversation with Library of Congress jazz specialist, journalist and radio host Larry Appelbaum), Horn’s friend and colleague, singer Sheila Jordan (in conversation with noted jazz journalist Ted Panken), Washington, D.C. jazz radio veteran Rusty Hassan, KNPR engineer Brian Sanders, manager Sheila Mathis and finally, Rainy Smith, Horn’s daughter. Featuring nine tracks and over 50 minutes of music, Live At The 4 Queens features Shirley Horn’s interpretations of popular songs including “You’d Be So Nice to Come Home To” by Cole Porter, “The Boy from Ipanema” (the female version of “The Girl from Ipanema”) by Antônio Carlos Jobim, “Isn’t It Romantic?” by Rodgers and Hart, “Lover Man (Oh Where Can You Be?) by Jimmy Davis, Roger (“Ram”) Ramirez, and James Sherman and many others. Long a favorite of Miles Davis and Quincy Jones, who both championed her early in her career, Shirley Horn was a unique jazz presence. 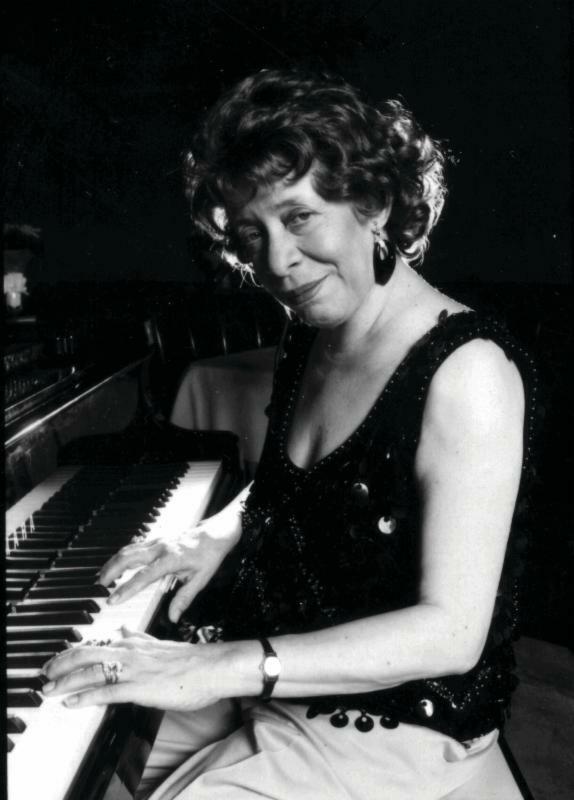 As a performer, Shirley Horn was immediately recognizable for the mood she created, her swinging, harmonically sophisticated piano playing and her evocative, velvety voice. As a pianist, she was so gifted that Miles Davis once said “If she don’t play, I ain’t gonna play…” in reference to a gig at the Village Vanguard, and would have her perform as a sub for Wynton Kelly at various club performances. As a singer, she never failed to cast a spell on a room. She inevitably transported her listeners with her moodiness and her uncanny ability to maintain a compelling sense of musical motion even at the slowest possible tempos, which became a hallmark of her style. When producer Richard Seidel signed Shirley Horn to Verve in the mid-1980s, her career was relaunched, and this time she became celebrated internationally as well as in the United States. A series of enormously successful albums followed. Most featured just her regular trio with bassist Charles Ables and drummer Steve Williams, while others had rhythm section colleagues like Ron Carter and Billy Hart, along with special guests such as Miles Davis, Toots Thielemans, Wynton Marsalis and Branford Marsalis. And as a stylistic departure, Horn recorded the memorable album, Here’s to Life (recorded in 1991 and released in 1992), in which Horn is showcased with a large ensemble arranged and conducted by Johnny Mandel (who received a Grammy® award for his work on the album). Shirley Horn’s return to prominence had her performing in all the major festivals around the world, plus iconic American venues like Carnegie Hall, prestigious concert halls throughout Europe and Asia, and even in the White House. Horn continued touring and recording at a torrid pace for nearly a decade until health problems forced her to pare back her performing and recording activities in the early 2000s. 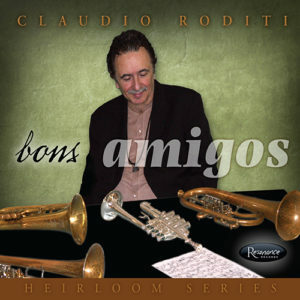 Nominated nine times for Grammys®, Horn finally won one for Best Jazz Vocal Performance in 1999 for her album, I Remember Miles, produced by Richard Seidel. 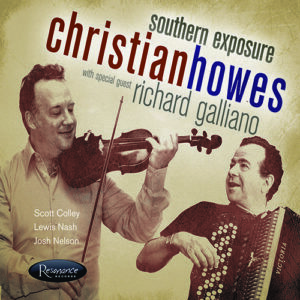 When producer Zev Feldman became aware of the recordings that make up this album, he was thrilled. Shirley Horn was a very special artist for him. Feldman, like Horn, is a Washington, D.C. native. Now 43, Feldman came of age while Horn was still only playing in and around Washington at jazz clubs like the Pigfoot and the One Step Down. Right at the time Feldman started working in the record business for PolyGram, which became Universal Music Group, from the mid-1990’s to the mid-2000’s, Shirley was one of the biggest stars of the label and Feldman was a Verve representative promoting her steady stream of new albums being released during that period. Feldman saw Horn often in those days, even driving to her house on more than one occasion to have her sign CD booklets, and attended many concerts as a part of his job arranging venue sales for record retail. 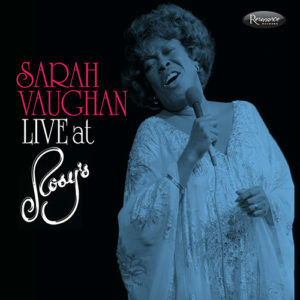 “Being the local Verve representative, I got to see her play everywhere from The Kennedy Center and Bohemian Caverns in DC, to the Village Vanguard in New York and Zanzibar Blue in Philadelphia.” But beyond his role as a label rep, he developed a friendship with Horn and on numerous occasions was invited after gigs to join in her inner circle with manager Sheila Mathis and drummer Steve Williams. So when the opportunity arose for Resonance to pursue the release of the material, Feldman jumped at the chance. Live At The 4 Queens was captured the day after Horn’s 54th birthday, and you can hear what a good time she’s having celebrating the occasion in Las Vegas on this recording. 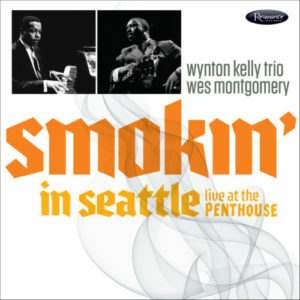 The CD kicks off with a spirited instrumental version of the 1950’s classic “Hi-Fly” by Randy Weston, and also includes Rainy Smith’s (Horn’s daughter) favorite song that her mother would play, “Meditation (Meditação),” which she humorously says she never knew the name of all these years until now. The hallmarks of any Shirley Horn album are of course the ballads, and this album delivers two powerful ones – “Lover Man (Oh Where Can You Be? )” and “Just For A Thrill,” which James Gavin writes “builds slowly; then her bristling chords build up so much tension that the energy explodes in a big crescendo. 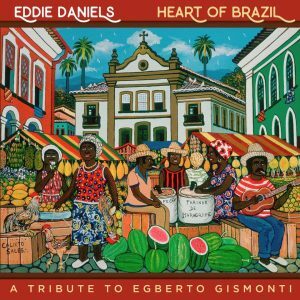 Horn lets it subside like a cloud of smoke.” “The Boy from Ipanema” is a playful take on the bossa nova classic, which Horn actually got to perform once at Antônio Carlos Jobim’s birthday party in Rio de Janeiro. And one of Horn’s rollicking blues staples, “Blues for Big Scotia,” closes the set in rousing form. 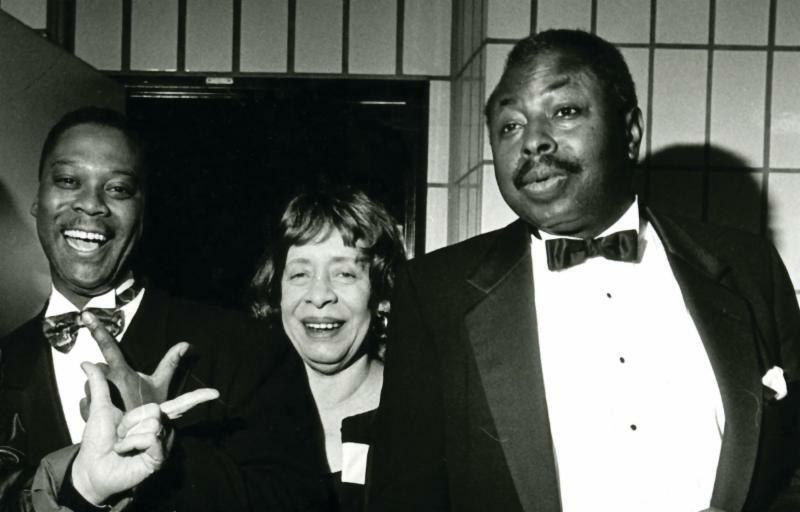 Shirley Horn left an indelible mark on the jazz scene with her catalog of recordings. And one can’t deny her influence on other musicians – her contemporaries, as the great Sheila Jordan suggests in her interview from the liner notes, and as those who came after her, such as the gifted singer/pianist Diana Krall. This package is a tribute to Shirley Horn’s memory and Resonance Records is thrilled to celebrate and contribute to her legacy with this release. The recordings illuminate her genius and represent her creative peak. Live At The 4 Queens reminds us of what an extraordinary artist she is. Resonance Records is delighted to release Shirley Horn – Live At The 4 Queens with the participation of KNPR Las Vegas. 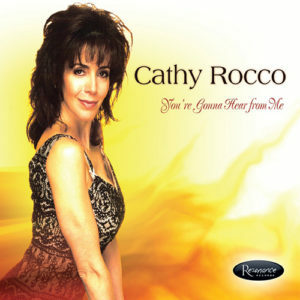 Produced for release by Zev Feldman along with executive producer George Klabin. Sound restoration is by George Klabin and Fran Gala. The beautifully designed package is the creation of long-time Resonance designer, Burton Yount.